T-Mobile today unveiled that it's getting ready to announce something (possibly important) during Super Bowl LIII. Scheduled for February 3, 2019, Super Bowl LIII will determine the champion of the 2018 NFL (National Football League) season and is expected to be watched by over 100 million American television viewers. 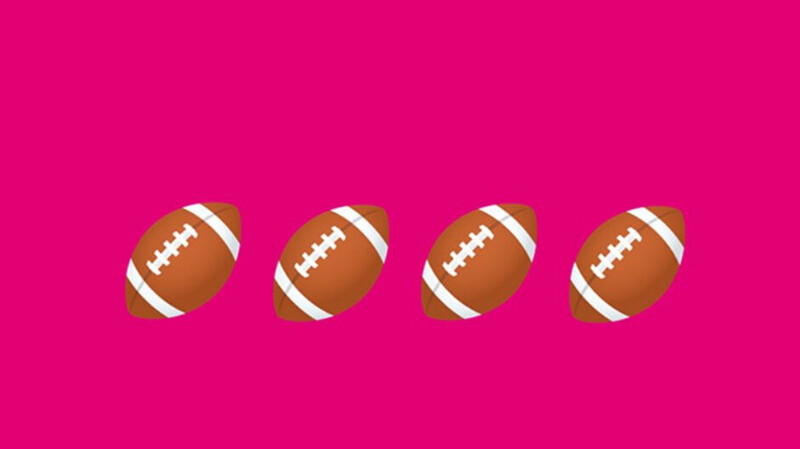 While T-Mobile doesn't want to share too many details about its upcoming Super Bowl announcement, it can tell us what this won't cover. Specifically, the announcement will not be about: T-Mobile's merger with Sprint, the deployment of 5G, or the carrier's soon-to-be-released TV streaming service. Nevertheless, T-Mobile says the announcement is related to something "awesome" and customers are "probably" going to "be very excited about it." It would appear that T-Mobile plans to announce a new product or service, or perhaps new promotional offers aimed at rewarding customers. It remains to be seen if we're right or wrong on this. T-Mobile's Super Bowl ad from last year (see it here) was not about phones or wireless services, instead being a serious commercial promoting equality. Judging from the informal tone of T-Mobile's press release that reveals its presence at Super Bowl LIII, whatever the carrier is planning to announce, it will likely be more on the funny side of things. Alongside T-Mobile, rival carrier Verizon Wireless is also preparing an ad that'll run during Super Bowl LIII. Of course, many other major companies - including Amazon - will air commercials during the big game, as this is one of the most watched annual sporting events in the US. According to CNBC, just 30 seconds of air time during Super Bowl LIII will cost $5.25 million. Let's hope T-Mobile will spend this kind of money on something that really matters for consumers. Probably the free video service. "Specifically, the announcement will not be about: T-Mobile's merger with Sprint, the deployment of 5G, or the carrier's soon-to-be-released TV streaming service." It would be beyond excellent, if T-Mobile was going to say that President Trump's "American Jobs For American Citizens" policy was going to be implemented, so that there were ONLY AMERICAN BASED CUSTOMER SERVICE REPRESENTATIVES. Or, perhaps, T-Mobile is actually going to offer incentives, in their ever-pathetic T-Mobile Tuesdays, that are something worthwhile, and not the patronizing, empty-headed crap that they have been jokingly offering, since the very first "Domino Pizza Incentive", that failed, so miserably.